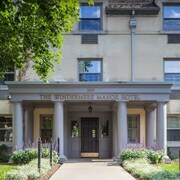 Situated in St. Mary's, this romantic Inn is 1km from downtown. 3 separate golf courses are 10 minutes away. Grand Theatre is 44 km (27 mi) from the hotel. Where to find St. Mary's hotels near an airport? Where can I find hotels in St. Mary's that are near tourist attractions? Planning to visit Stratford? Are you looking to reserve a hotel within an easy drive from the main part of St. Mary's? 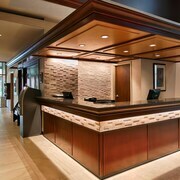 You'll find 3 Expedia-listed hotels within easy driving distance of the downtown area. 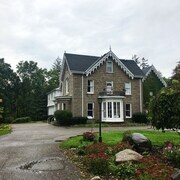 If you would prefer a great place within a half mile of the heart of St. Mary's, check out the latest deals at the popular Westover Inn - An Ontario's Finest Inn. 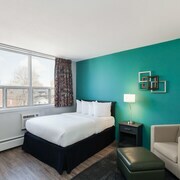 Check out the Westover Inn - An Ontario's Finest Inn and also the Residence Inn by Marriott London Ontario. The Westover Inn - An Ontario's Finest Inn is situated 0.8 kilometres (0.5 miles) from the heart of St. Mary's. 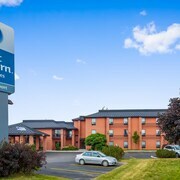 The Residence Inn by Marriott London Ontario, is situated 30 kilometres (19 miles) away. Another possibility is to make a booking at the Stone Willow Inn or the StationPark All Suite Hotel. Looking to travel a little further afield? Southern Ontario has many options. Southern Ontario offers beaches and coastal plains, and commonly visited Southern Ontario tourist destinations include traditional villages and churches. Common activities in this part of Canada include skiing, cross-country skiing and snow shoeing. If you like sports and really like local games you might like to head to Mohawk Racetrack, which is 100 kilometres (61 miles) to the east of St. Mary's. Stay right near the action at the Mohawk Inn and Conference Centre or the Toronto West KOA. 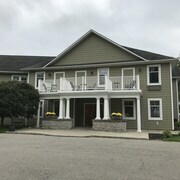 If you are flying into or out of London International Airport and would like to stay nearby try Knights Inn London Airport or Maple Glen Motel. What are the most popular St. Mary's hotels? Are there hotels in other cities near St. Mary's? What other types of accommodations are available in St. Mary's? Explore St. Mary's with Expedia.ca’s Travel Guides to find the best flights, cars, holiday packages and more!